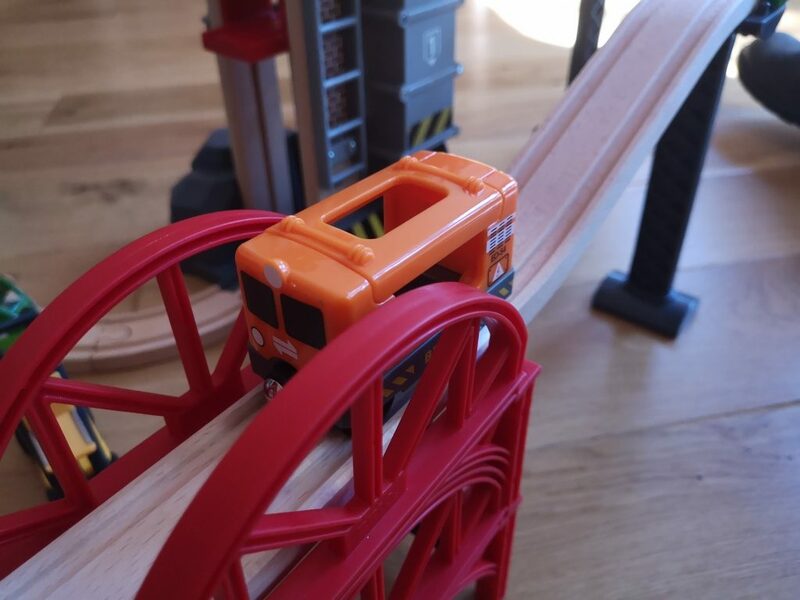 Brio trains are a classic toy which you find can in most toy boxes and pretty much every nursery and toddler group. 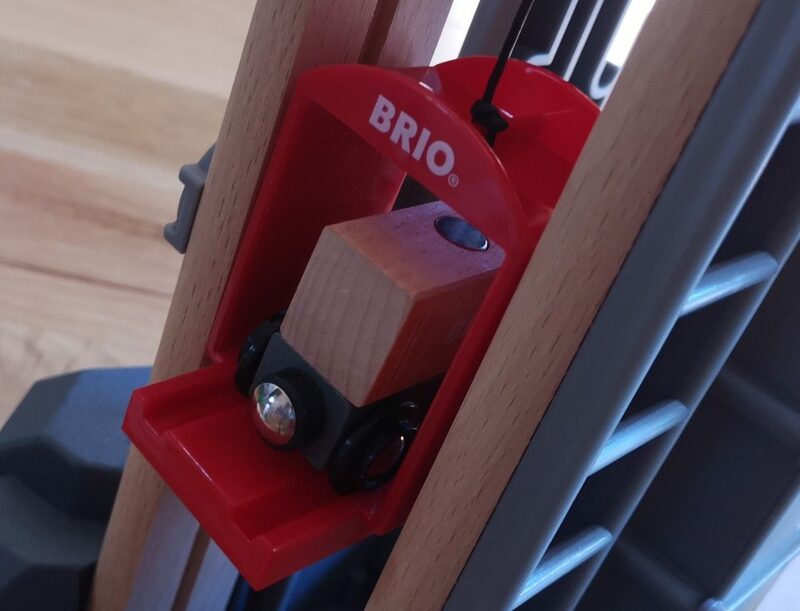 As a brand, Brio is much loved because the trains and tracks are tough wearing, and popular with parents because they’re made primarily with wood (from sustainable forests) as opposed to bringing more plastic into the home. 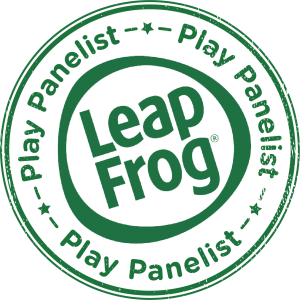 We were offered the chance to review the Lift & Load Warehouse set and the Green Travel Train (reviewed here). 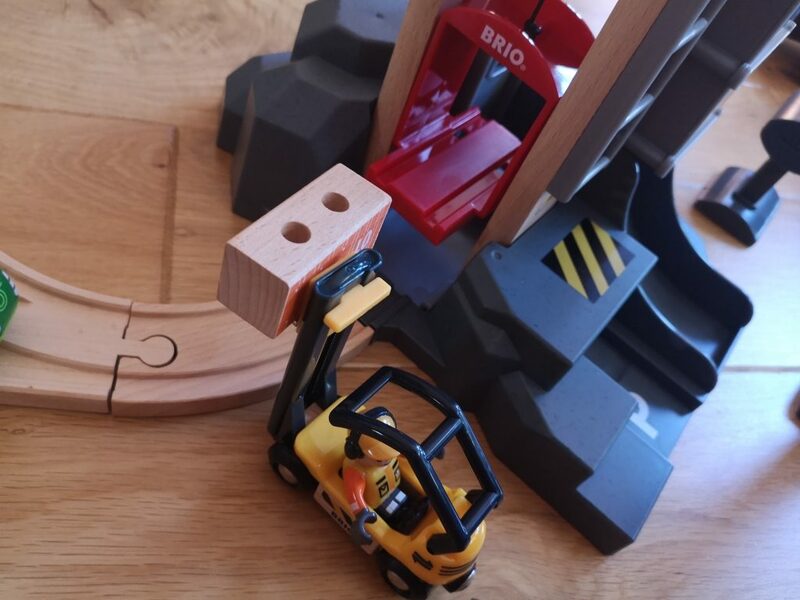 The Brio World Lift & Load Warehouse set comprises 31 separate pieces including 1x train, 1x forklift vehicle, 1x foreman figure, 1x wagon, 1x load, 2x stacking bridges, 1x train lift, 1x buffer, 7x supports, 15x pieces of track. These are constructed from both wood and plastic too. 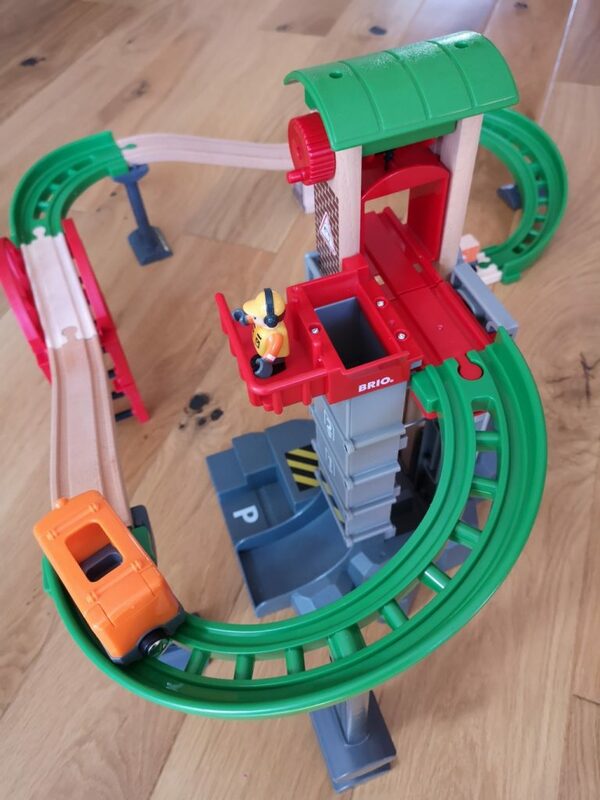 The set can be put together in a number of ways, with the instructions giving four suggestions (which can also be found in PDF format here) however obviously it is up to you how you put your Brio track together; if you have a lot of extra track you could make it part of a huge play space or it can be used on its own. The main tower has four different heights. Pull the red platform out and slide it down to change the starting position of the track. 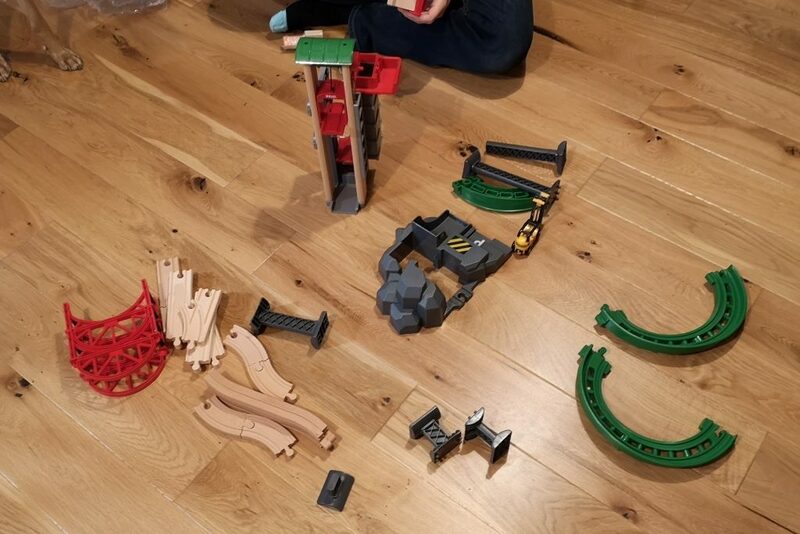 The Brio Lift & Load set might seem a little daunting when you first get the pieces out of the box, but it doesn’t really take that long. After misplacing the instructions I managed to make the set up as displayed on the box (Layout suggestion 1) with only a minimal amount of swearing at my own ineptitude. I would recommend that if you are getting this as a Christmas gift for a child under 6 or 7, it might be a good idea to set it up the night before so that they can firstly enjoy using it before learning to put it together by themselves. 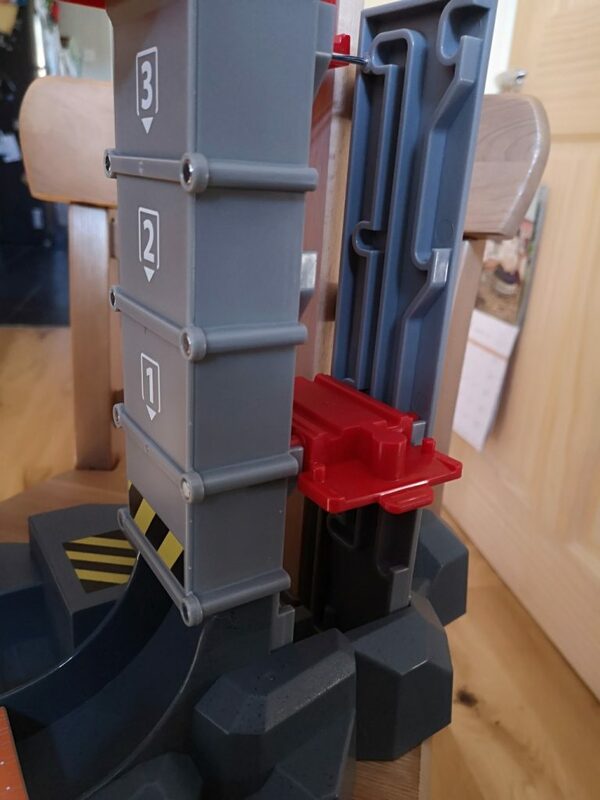 The trickiest bit was slotting in the piece of track to the red stacking bridge; you need to push the track right down and ensure that it is central with a small piece of red plastic visible underneath each end for the connecting pieces to rest on like in the pictures below. The main tower comes in two sections, the top and base, which slot together. You’re not going to be able to take this apart to get back into the box, which is a bit of a pain as it’s quite big. The rest of the track slots together easily and firmly and comes apart again. Where the track is raised, you need to use the supports underneath the joins to ensure it is stable. Once built, you are ready to play! Push the train from the top position and it will whizz down to the bottom whilst staying firmly on the track. 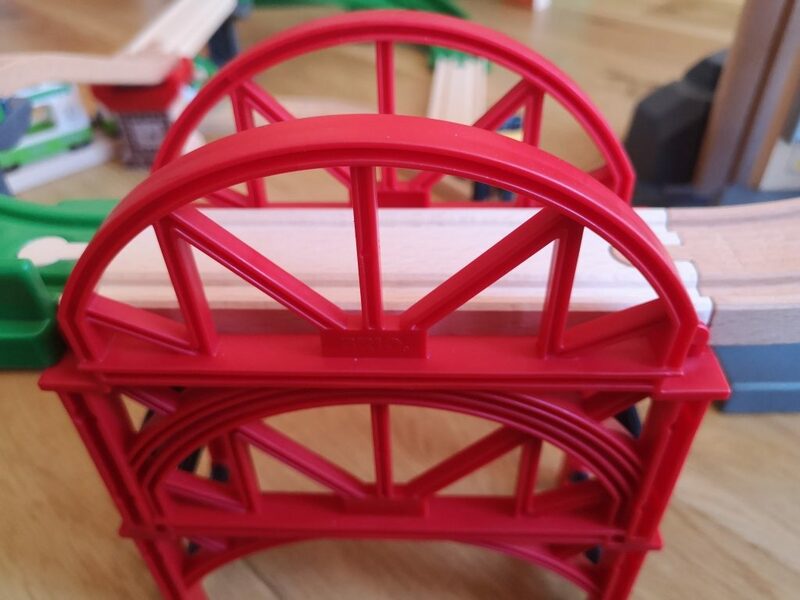 You can of course make longer trains using the magnets to hold them together, and you can use other Brio Trains on the track. 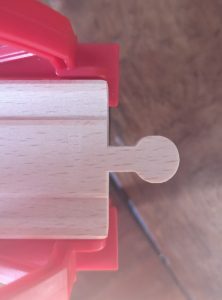 The load (which has two holes in the bottom to slot on to the wagon and a magnet in the top presumably compatible with other Brio kits) can go from top to bottom via the chute or on the back of a train. Once at the bottom it can be reloaded and winched up to the top again using the red handle which pulls the lift up and down. 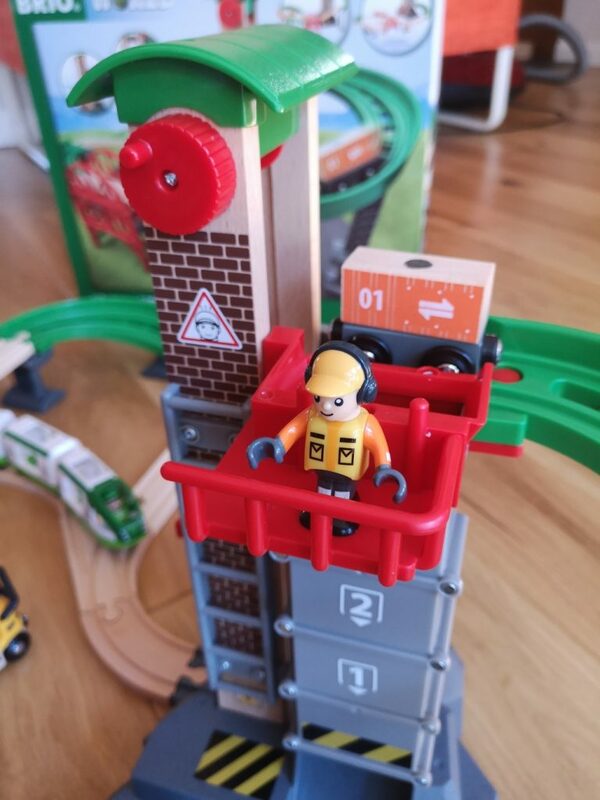 As well as the lift, which is big enough to transport one train carriage at a time up and down, the set comes with a little forklift truck which can carry the load and a foreman to drive it. There is even a parking space for it in the base of the lift. 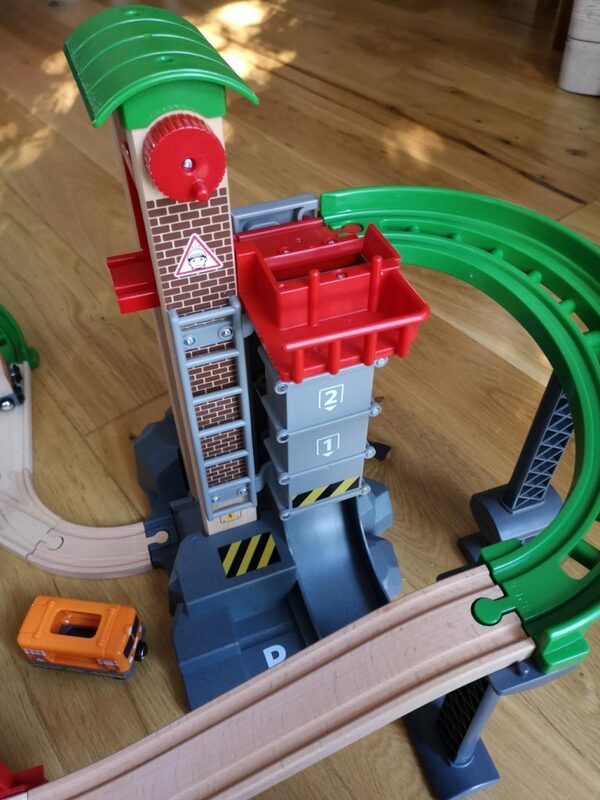 We loved playing with the Brio World Lift & Load Warehouse Set. 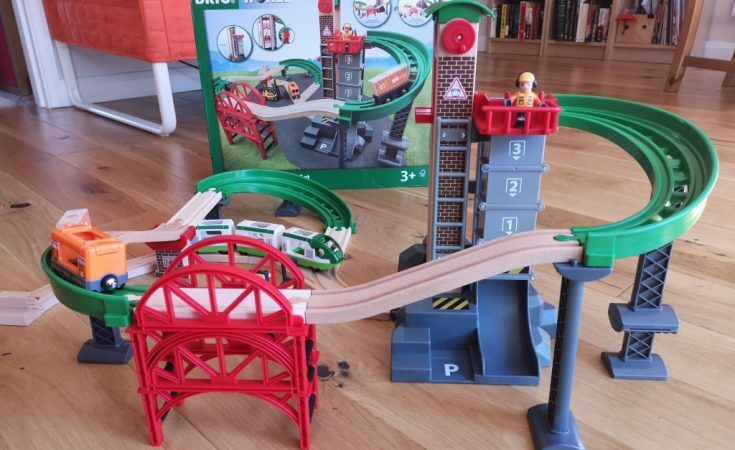 Whether your child is a huge Brio collector or this is the only set they have, it would make a lovely Christmas gift for someone that loves building train tracks or imaginary play and is the perfect toy to play together! 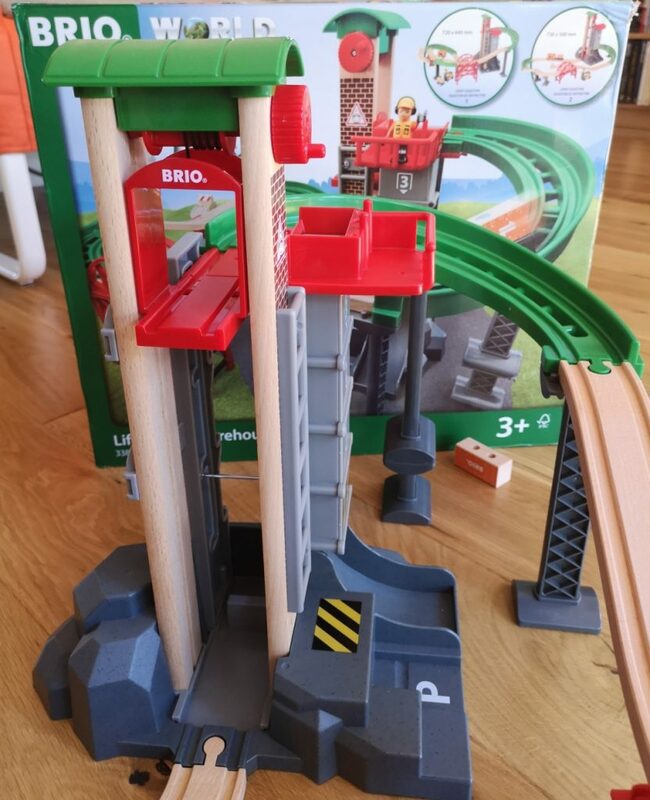 The Brio World Lift & Load Warehouse Set is suitable for children aged 3 and over and has an RRP of £89.99 but is available for less online currently, for example at Amazon using the link below. We were sent this product free of charge for the purposes of this Brio World Green Travel Train review. 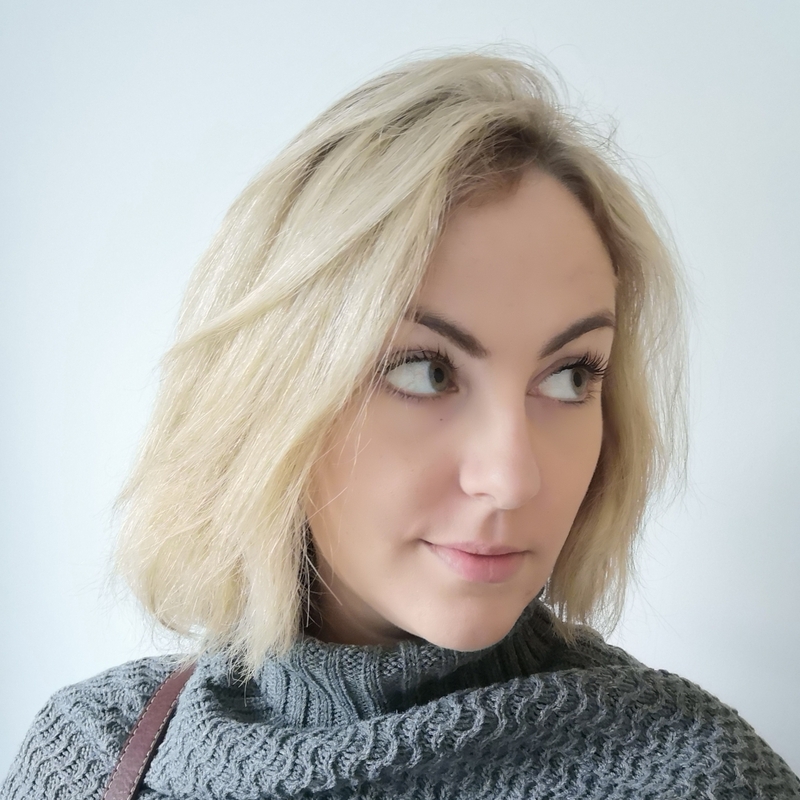 Words and pictures are my own. For further information check out the Brio website. 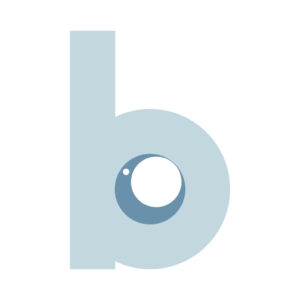 You can follow on social media at @brio_uk.